Prepared by Ian Smith, 16th September 2011. 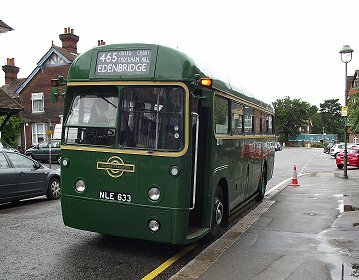 On arrival back at Oxted I was just in time to join John Huxford on GS2, for the start of his post-lunch stint. We went round the block to load up in Station Approach, and headed for Chart. John took the direct approach: under Station Bridge, then right down Station Road East and up the hill to Limpsfield Common. 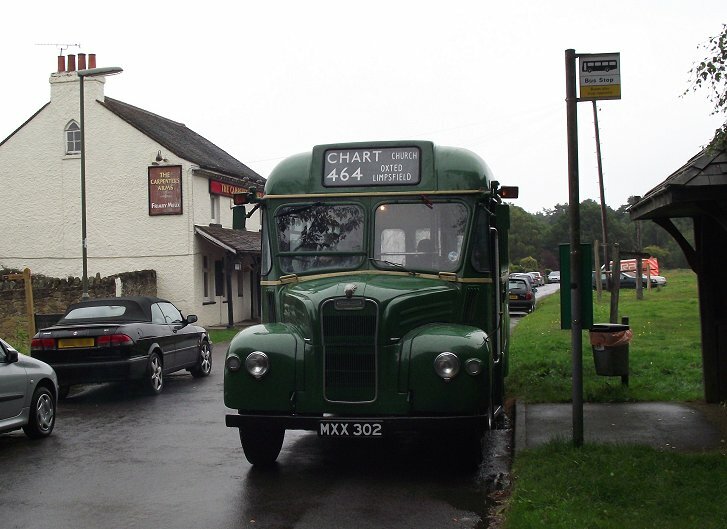 We motored along the wooded ridge eastwards, and turned in by Chart Church to terminate this short journey at The Carpenters Arms. John was going to put up the 464 Oxted Station blinds for the return trip, but we persuaded him that it was a through trip to Staffhurst Wood, so he put up the much rarer 465 to Staffhurst Wood blind. 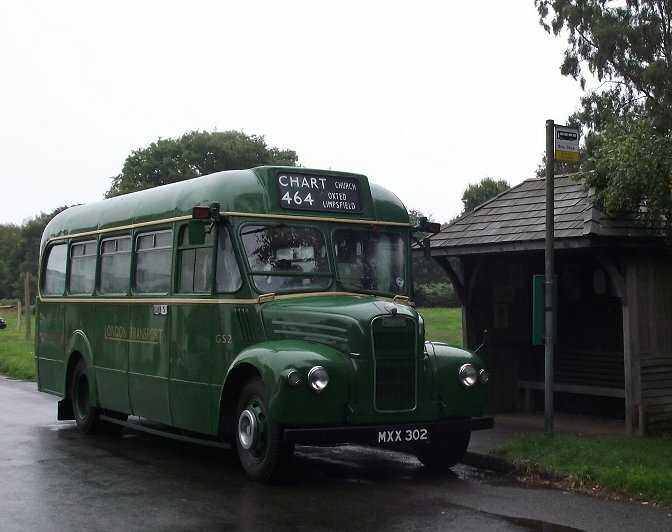 We set off on the short journey back tp Oxted Station, where we would form one of three vehicles on the 1425 departure to Staffhurst Wood. 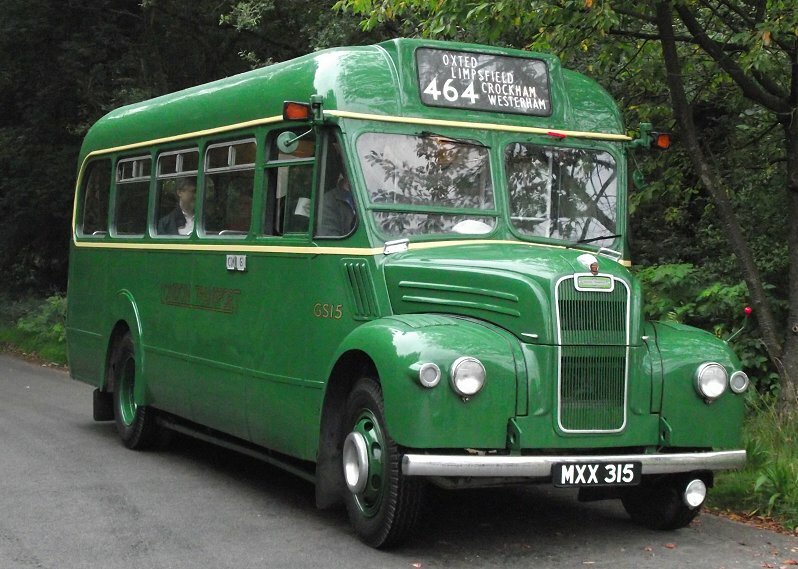 These journeys served the secondary school at Merle Common, where there was no convenient stopping point. 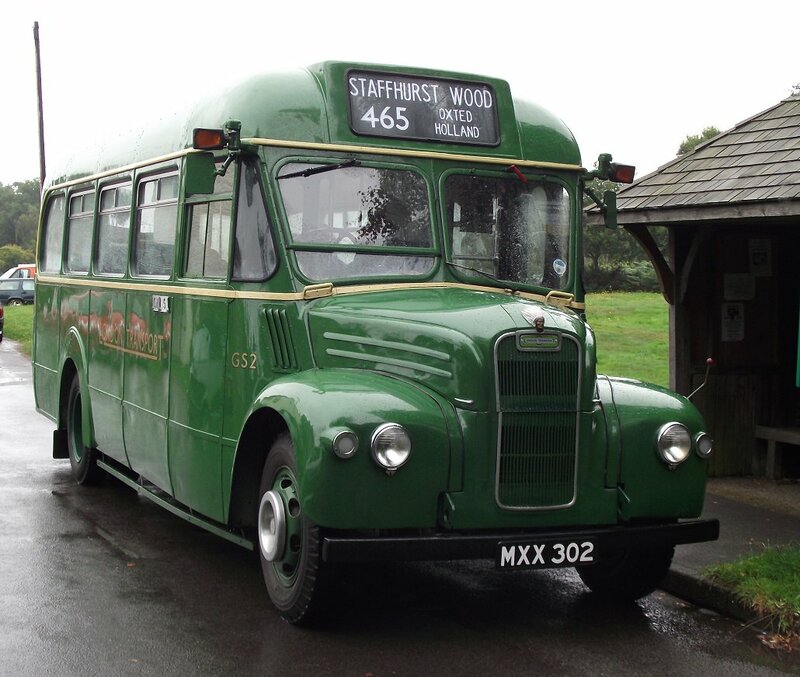 So buses went forward to Staffhurst Wood to turn. But I'm getting ahead of the story. We set off from Oxted Station, round into Church Lane and out to cross the A25 and grind up through the narrow street of Old Oxted. 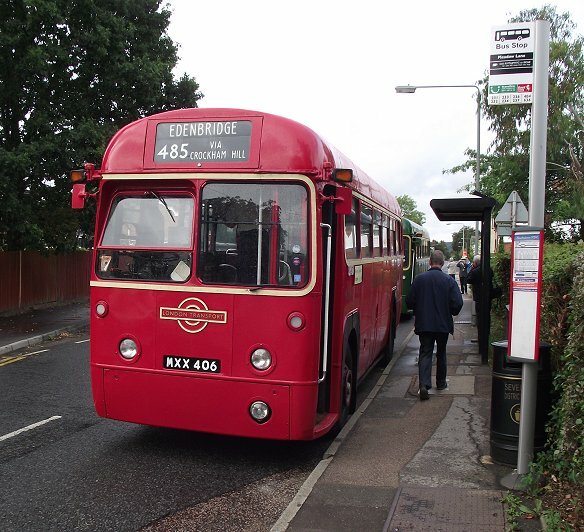 We made the turn into narrow Beadles Lane and headed for Hurst Green. 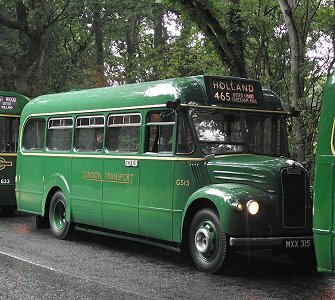 We crossed the green and passed the Coldshott terminus at Holland, and continued along Merle Common Road, into the woods to meet Red Lane, the direct route from Limpsfield. 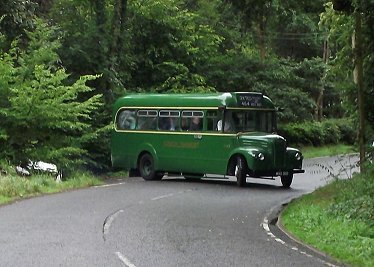 A little further on we came to the triangular junction with Staffhurst Wood Road, the old terminus. 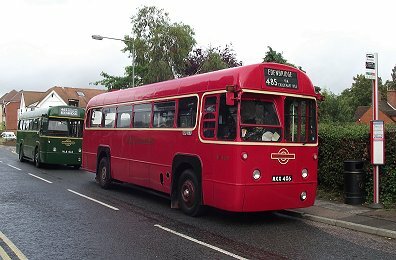 GS15 and RF633 pulled up behind. 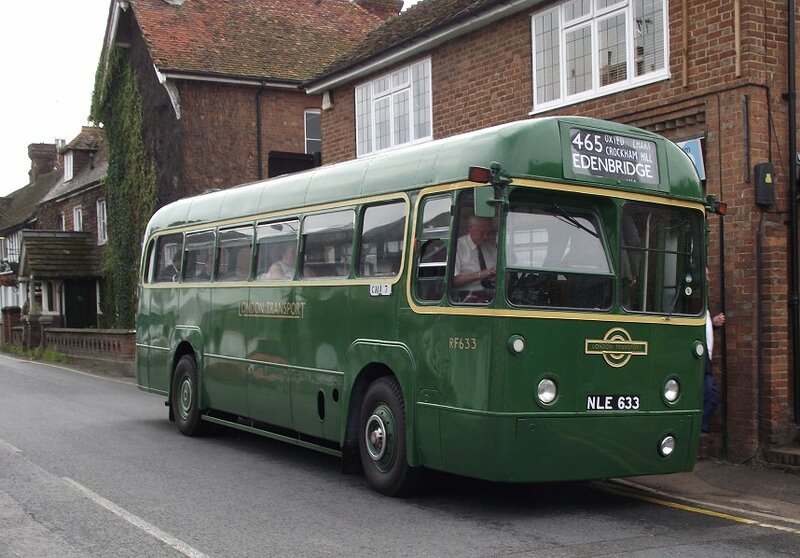 The RF was next going to Edenbridge as a 465 (despite the 485 blind being rolled up! 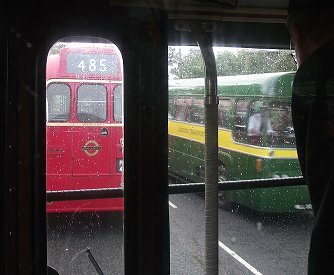 ), so I swapped out of GS2, and watched the two GSs pull away round the triangle on their returns to Oxted. 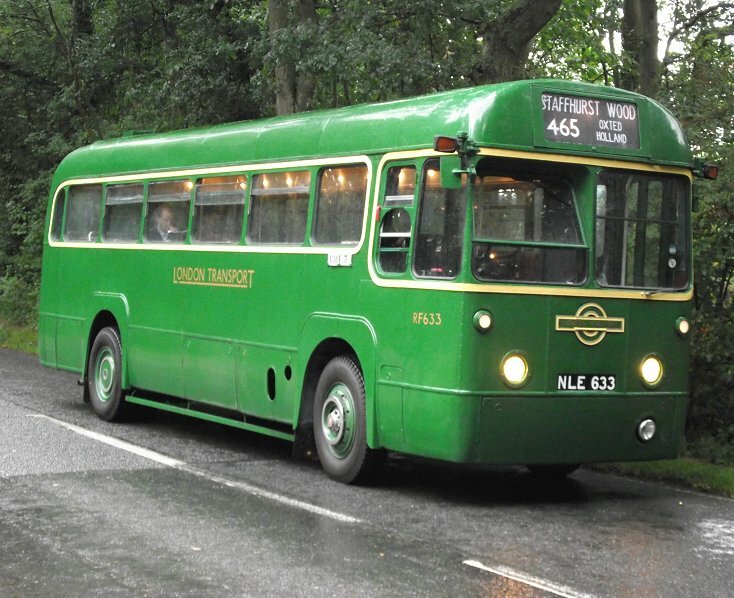 I boarded the RF, now with 465 blind set, and we too made the turn and chuckled our way back through Holland, Hurst Green and Old Oxted to Oxted Station. 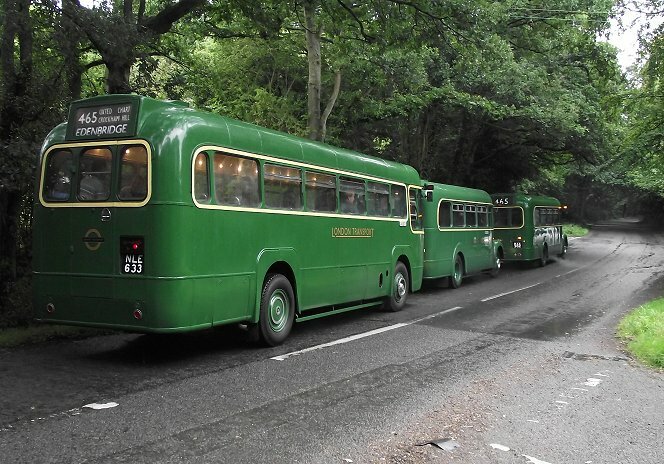 After a pause there we set off east again, out to Limpsfield Village and up the hill onto Limpsfield Common. The ride along the ridge via Chart was gentler, and we were soon dropping down from Crockham Hill towards Edenbridge Station. 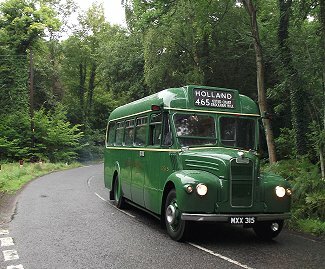 Ahead of us was Alan Charman in RF429, working a 485 from Westerham to Edenbridge to finish his day. 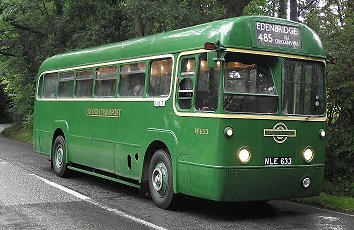 He - and we, paused at Edenbridge Swan Inn, and met with Ron in RF146 working north on a 465 to Oxted Station. 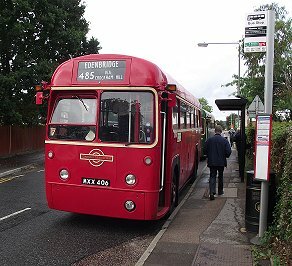 I could have swapped onto RF429 for the short ride down through Edenbridge to the Star Inn, but elected to stay with RF633. We turned down the lane opposite The Star, past the site of the old M&D garage where the buses used to turn, and turned in the entrance to a small industrial yard, to return to The Star.